Using the s curl no drip activator moisturiser has been a blessing to my hair as I don't have problems with dryness, at least for now. I used the Native Child Moisturising shampoo to wash twice to remove all build up. I need a fresh scalp therefore the clarifying shampoo was the best option. I followed with VO5 kiwi lime squeeze conditioner, I love this product so much. After January though, I'll switch to the aphogee 2 minutes reconstructor or the balancing moisturizer for weekly deep conditioning treatment. That will strengthen my hair as it gets longer. After washing, I just applied Jamaican black castor oil hair food. I won't use the hair milk or leave in until I have about 3 inches of hair when the hair will need more moisture. Through it all, we've been blessed to witness this season. This year was anot interesting one for the reason that I virtually kept cutting off the hair to maintain it short. That wasn't the plan but I guess enjoying the short hair made me forget about the 2017 goals LOL. This year too, I finally put finishing touches to the sulphur oil branded as ESO hair oil - Emprezz Sulphur Oil. I look forward to seeing more reviews from customers. Lastly, I moved from only hair to skin care products in the shop too. You can now get cleansers, scrubs, toner, sunblock, and masks. The best news is that we'll be going physical in 2018 so stay tuned for updates. Our physical shop will be it more easier to walk in for products as well as allow us expand the product lines. It's been an amazing yet roller coaster year and I pray 2018 is more favourable. Washing tapered natural hair has been so much easier and fun to do. I've incorporated giava leaves rinse and rice water rinses to aid in keeping the shine and softness as well as increase growth. Although I won't be using hair vitamins in 2018, the ESO Scalp oil and these rinses will certainly contribute to fat hair growth. I'm planning on starting my dawn jogging before 1st January or go back to the gym in order to lose some weight. 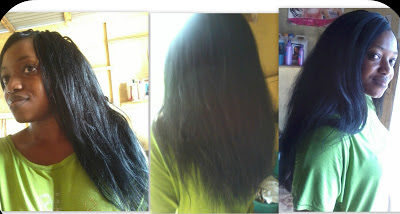 These excerises also increase blood circulation hence fast hair growth. When I said I didn't intend buying any hair product in 2018, I knew some will doubt it so I'll continue with the occasional empty products updates for you to know how it's going. I don't mind give away ones or sample ones but I'm definitely not purchasing anything in 2018. The vitamin I wanted to use for 3 months was the mane choice hair vitamins but as it stands now, the prenatal will suffice. I've been at this stage over and over again hence I'm not so excited but what pleases me is the growth I had within a month. I haven't been taking any supplements so it's pretty amazing to see such growth from the ESO scalp oil (I didn't expect anything less though). The last cut was 27th September therefore to achieve a roller set at this point is simply a huge success with the ESO. I'll wash tomorrow evening and get it deep conditioned. I'll also keep applying the ESO on the scalp alongside scalp massage. I'm waiting for my women's multivitamins to arrive so I take them. I guess we are back to weekly updates or so Lol. This is quite exhilarating! I've been in these zip braids for 2 weeks already; my scalp is fine, my hairline is full and overall, I notice growth coming in. 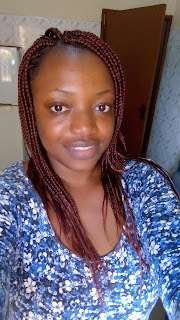 What do I do to increase hair growth whilst in protective style? 1. Stay consistent with hydration both internal and external. I drink more than 2 litres of water as often as possible and spray the hair with rosewater and guava leaves brewed in water. 2. Take your vitamins be it multivitamins, hair growth vitamins or just good old folic acid. Whatever the case, just keep your body healthy and ensure your body gets all the nutrients it needs for cell renewal and healthy hair. 3. Keep the scalp unclogged. In as much as I Iove using hair oils, I don't go hard on them when I'm unable to properly wash the scalp. 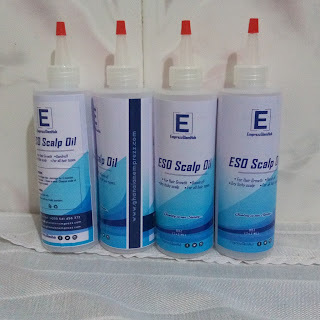 I use the ESO scalp oil about 3 to 4 times a week. I apply it daily on the edges as it's easy to cleanse that part. Less than 24 hours ago, I had my TWA swag. Then, I decided to braid it up and fortunately, the hair dresser got something done for me. In shoving twist of events, I went out this morning and I got a different response from people. Let me backtrack. Here are some pictures I took of my hair. So, the weather has changed and for that I decided to hide the hair. I went out to grab a few things for the family and the look on the faces of some people 😂😂😂😂. Why? My short hair was seen as an indication of being young, I mean talk of Senior High School student! I, then, noticed people's tone had changed towards me. The spoke to me as an adult, listened to my views and opinions and smiled like they were supposed to. What do I mean? The braids have given me another insight into what people perceive as maturity. As 2017 comes to a close, I've been reordering and reorganizing my goals, priorities and most importantly, my desired outcomes. Growing hair isn't a day thing neither is it a race. However, I also don't want to relax and suffer a setback. Creating the balance between the goal and achievement needs a simple but effective planning. What I mean is if I set a goal, I need to know when and how I'll achieve it. Merely stating the goal doesn't yield the result. If you've been following this blog for a while, you'd know that I don't wait till new year to set goals and targets. This is the best time to evaluate what the current year has been and what the future holds. 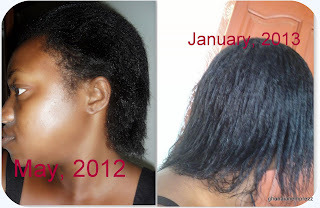 Getting the maximum benefit from your biotin requires constantly taking it with meals. However, what happens in reality is we sometimes forget to take it or find it hard taking it with the meal, especially, if we have to swallow it. For Chewable vitamins, the tendency is to do so after the meal as they tend to be sugary and will affect our taste buds whilst eating Lol. What's the solution? For some biotin and vitamins in capsule form, simply add to your beverage and take it. I tried this technique with my natures bounty gummies and it was a success! It melted in the beverage so I got to enjoy my meal as well as take my vitamins. 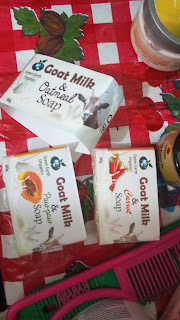 I purchased this from a shop on Instagram and just for the fact that I saw goat milk, I decided to try it. I just saw that butterflygh also has a goat milk line that I'll be trying after this. I also got the carrot and oatmeal, all with goat milk. I've been using the oatmeal one since last week and so far, no itching and no negative reaction. 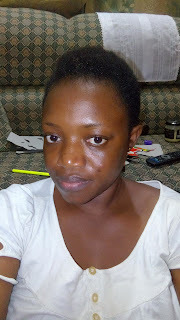 I find my skin to be less dry too; it stays hydrated for longer periods. With the size, the three bars could last me two months (minus night baths lol). The three cost me less than 40gh including delivery. I don't use it on my face because I have enough facial products. I got them from naturalbeautygh on Instagram and I hope to enjoy this line. I've missed my length so much but I've made peace with myself and my hair regarding my love of fierce cuts! Now that I have made the choice to grow the hair in a relaxed state, I've realized that there are 6 things I'd love to do. 1. 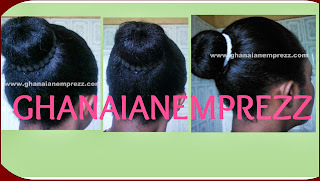 Wear a bun with extensions at the end. I miss this style so much! 2. Use up products within a month so I don't hoard. 4. Air dry and get puffy, frizzy hair! 5. Try some product lines on the market eg. From Sheamoisture and Creme of nature, Eden Bodyworks and Sunny Isle. 6. 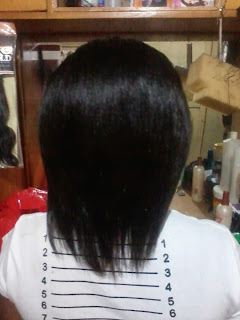 The last one is to be able to do 12 weeks relaxer stretch throughout the 12 months of the challenge. 4 relaxer application within a year would be great for maintaining my dark and thick hair! In stock too are facial cleansers, scrubs and activated charcoal peel off mask. VO5 shampoos and conditioners are also available. We have the 12oz and 32oz size. We still have Tropic Isle Jamaican black castor oil.